Mystery Lovers' Kitchen: Welcome guest author Ellen Byron + book #giveaway! Welcome guest author Ellen Byron + book #giveaway! Ellen Byron authors the Cajun Country Mystery series. A Cajun Christmas Killing and Body on the Bayou both won the Lefty Award for Best Humorous Mystery and were nominated for Agatha awards in the category of Best Contemporary Novel. Plantation Shudders was nominated for Agatha, Lefty, and Daphne awards. 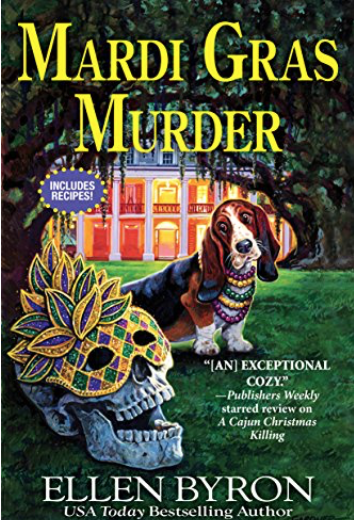 Mardi Gras Murder was deemed “a winner” by Publishers Weekly. Ellen’s TV credits include Wings, Just Shoot Me, and Fairly Odd Parents. She’s written over 200 national magazine articles, and her published plays include the award-winning Graceland. She also worked as a cater-waiter for the legendary Martha Stewart, a credit she never tires of sharing. Bananas have been imported to the U.S. through New Orleans since the mid-1800s. By the 1950s, the Crescent City was the major port of entry for bananas being shipped from Central and South America. In Body on the Bayou, my second Cajun Country Mystery, I created a recipe for Bananas Foster Coffee Cake, inspired by the iconic dessert served at Brennan’s, a legendary NOLA restaurant. 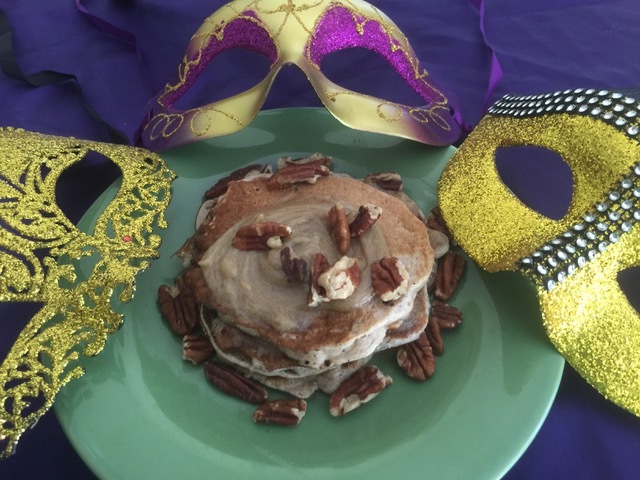 When I was mulling over ideas for another banana-centric recipe to include in my fourth book, Mardi Gras Murder, I found inspiration in a delicious mix of butter, sugar cane syrup, and pecans served with bread at Houmas House Plantation’s Café Burnside. I came up with my own take on a sweet butter and then worked backwards to match it with a dish. Pancakes seemed the perfect choice. But not just any pancakes — banana pancakes. 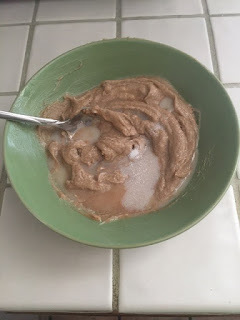 Combine ingredients in a mixing bowl and mix until thoroughly blended. Set aside. Combine all ingredients in a clean mixing bowl. 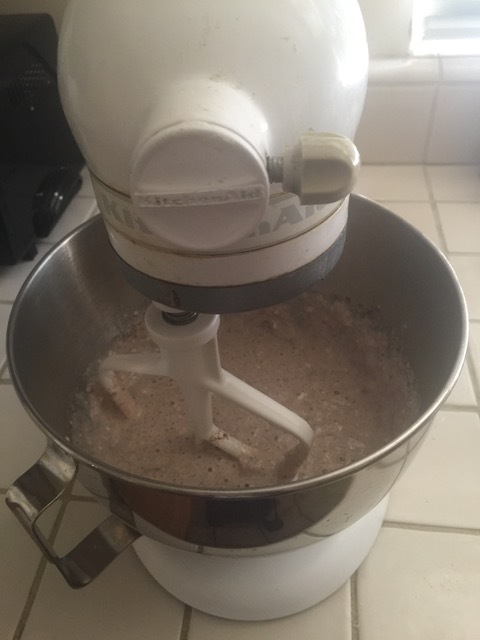 Using a mixer, mix slowly at first to gently combine the ingredients, and then increase speed until the ingredients are well blended. Pour in ¼ cups onto a hot griddle. 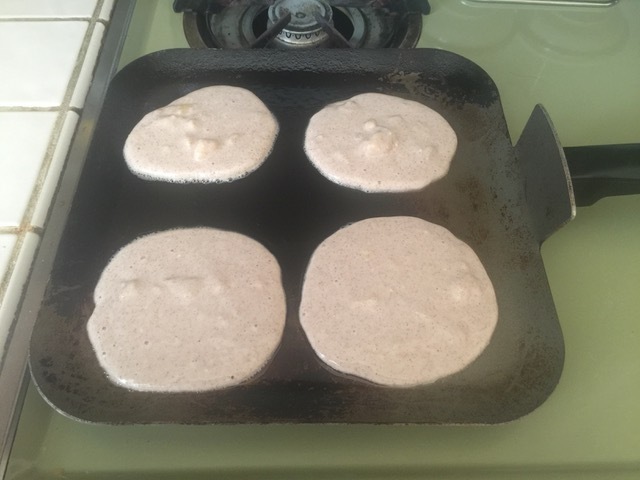 Flip when the pancakes start to bubble. Press down on them if you need to in order to make sure they cook through. To assemble, take one pancake and slather on the brown sugar butter. Top with another pancake and do the same. 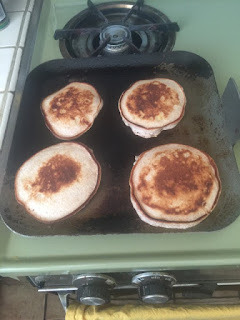 If you want a third pancake, follow the previous instructions. Sprinkle with chopped pecans, if you’d like. Spread on toast and sprinkle with pecan pieces. Mix a ½ cup of the brown sugar with a ¼ cup of rum and melt in a skillet or frying pan. Add a cut banana to the butter and cook until the banana is soft. Serve over vanilla ice cream. Voila! Your very own Bananas Foster. Blend ¼ cup with a ¼ to a ½ cup of light cream cheese and serve as a dip with cinnamon pita chips. One commenter will win a copy of my latest book. Leave a comment and tell me your favorite pancake! Leave your email address so I can contact you if you win! Winner picked Wednesday.